The Large Square Floral Vine Design Bar Sink features a band of flowers and leaves along the interior of the basin and a flat rim suitable for drop-in or undermount installation. 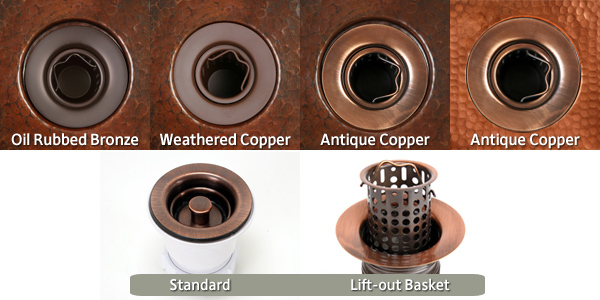 This sink is hand-hammered in 14 gauge, lead-free copper by 3rd generation coppersmiths. Our 14 gauge copper is the thickest copper available on the market, so you don't need to worry about a metallic drumming sound as water flows into your sink. Our sinks are TIG copper welded.